Image Clipping Service is the popular trend in today’s graphic outsourcing industry. Image Clipping is the result of processing or capturing an image wherein the intensity in a specific area fall outside the minimum and the peak intensity level is represented. The clipped area of that image will appear as a uniform area with a lower or higher brightness value, losing any detail of the image. Mostly photographers and graphic designers who want to enhance the images for their business do a simple to a complex level of Photo Clipping. 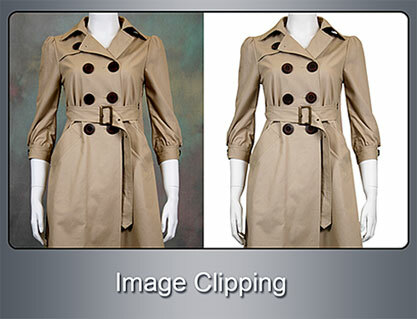 The advantages of clipping an image are vast when compared to simple image editing. This article will educate readers about the basic process of Image Clipping. The common question that strikes you is what is an image clipping service and how does it differ from image editing. Unlike other Photo Editing Services and Background Removal tools in Image Editing software, Photo clipping makes use of a vector path wherein a part of image is highlighted and the background is hided. An image clipping software offers a wide range of tools to enhance images, remove backgrounds and scale colors. We have many software that can do Photo Clipping, such as GIMP, Adobe Photoshop, Corel Photo Paint etc. which are mentioned below. Adobe Photoshop has a flexible pen tool used to clip an image and is used by many Photoshop users. Pen tool can be used to outline an image containing bezier curves and convert the path which is created into a selection. It is easy to mark the points of the path initially around the selected image and then edit the curves. GIMP is impressive graphic editor used for digital image composition, retouching, authoring and processing and other such services. It is alternative software to Adobe Photoshop. In Photoshop we have a pen tool and in GIMP we use a path tool. Corel Photo-Paint is software available for photo editing and image creation application. The tool they use is Path tool that involves working with the bezier curves. While some prefer GIMP for image editing while others prefer Adobe Photoshop since they can easily understand the features in it. There are good and bad parts in Image Clipping. However, this is a big hit in graphic outsourcing industry. Once you get use to the pen tool or path tool, or whatever tool you use, you can create any complex freehand shapes like icons, symbol and any drawings. These images can be converted later into a raster image of any resolution. There are many companies that offer Top Quality Image Clipping Services and it is really hard to choose one since all of them provide High Quality Photo Editing Services at a reasonable cost. Before, choosing a Photo Clipping Service Provider, you should conduct a background check on the company before you get into an official contract. Read carefully the terms and conditions and also look for their testimonials. Many companies offer a free trail service for promoting their company and also to prove their clients the quality they offer.